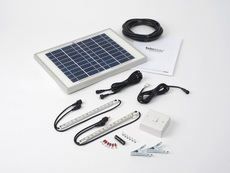 SolarShop supplies an excellent range of Solar Powered Lighting Products, including lighting for stables, barns, log cabins, sheds garages, gardens and remote locations. 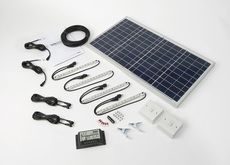 Retail, Trade and Commercial Solar Lighting Solutions. 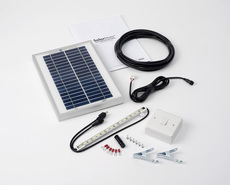 Solar Lighting Kits can provide essential light and electrical power to any outdoor buildings such as sheds, workshops, summer houses, stables, beach huts, agricultural buildings and more. 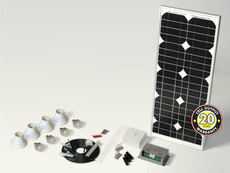 Our Solar Lighting kits are quick and easy to install, requiring no special tools and can be operating within an hour. 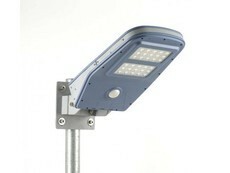 Exempt from Part P of the Building regulations, can be easily and safely installed by anyone.